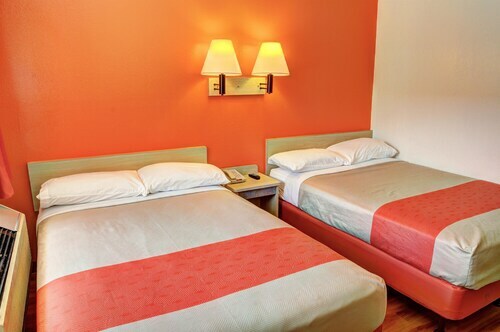 Situated in Slidell, this motel is 6.2 mi (9.9 km) from Honey Island Swamp and within 25 mi (40 km) of John C. Stennis Space Center and Fontainebleau State Park. Frenchmen Street and Bourbon Street are also within 32 mi (52 km). 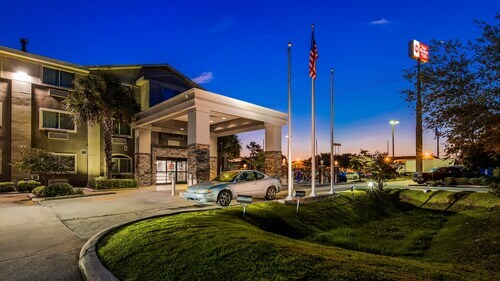 Situated in Slidell, this hotel is 5.6 mi (9 km) from Honey Island Swamp and within 25 mi (40 km) of John C. Stennis Space Center and Fontainebleau State Park. Frenchmen Street and Bourbon Street are also within 32 mi (52 km). 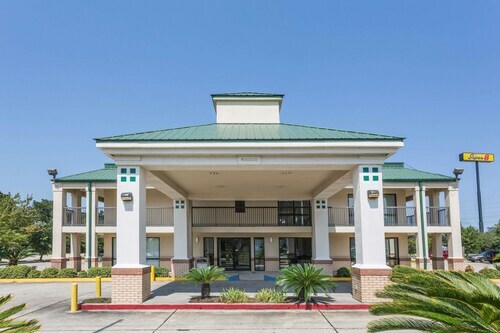 Situated in Slidell, this motel is 6.6 mi (10.6 km) from Honey Island Swamp and within 20 mi (32 km) of Fontainebleau State Park and John C. Stennis Space Center. Frenchmen Street and Bourbon Street are also within 32 mi (52 km). 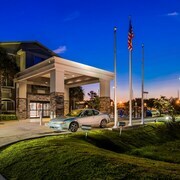 Situated in the suburbs, this hotel is 5.7 mi (9.1 km) from Honey Island Swamp and within 25 mi (40 km) of John C. Stennis Space Center and Fontainebleau State Park. Frenchmen Street and Bourbon Street are also within 32 mi (52 km). Situated in Slidell, this motel is 6.9 mi (11.2 km) from Honey Island Swamp and within 25 mi (40 km) of Fontainebleau State Park and John C. Stennis Space Center. Frenchmen Street and Bourbon Street are also within 32 mi (52 km). 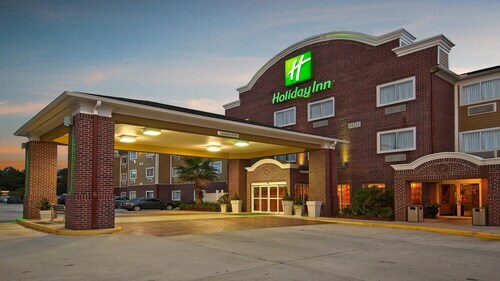 Situated in the suburbs, this hotel is 6.3 mi (10.2 km) from Honey Island Swamp and within 25 mi (40 km) of John C. Stennis Space Center and Fontainebleau State Park. Frenchmen Street and Bourbon Street are also within 32 mi (52 km). 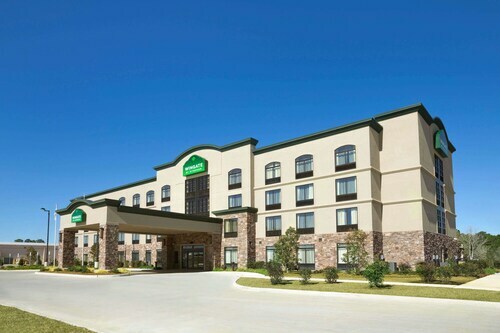 How Much is a Hotel Room in Slidell? 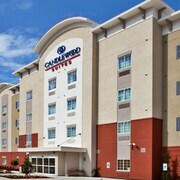 Hotels in Slidell start at $50 per night. Prices and availability subject to change. Additional terms may apply. “Laissez les bons temps rouler” might be the catchphrase for New Orleans and Mardi Gras, but it fits just as nicely in the nearby destination of Slidell, Louisiana. The bayou’s call is strong here, where you can spy alligators drifting along in the swampy shadows or taste the spicy, bold flavors in a jambalaya. 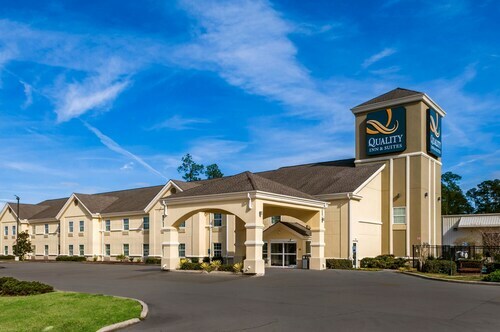 Should the mood strike, you can easily get to New Orleans for a dab of debauchery, or simply relax at one of the many welcoming hotels in Slidell, LA. From Louis Armstrong International Airport, cross the rippled blue waters of Lake Pontchartrain to reach Slidell, about 43 miles away. 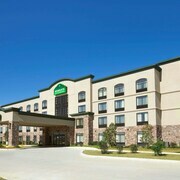 The Slidell, LA hotels are ready to welcome weary travelers like yourself and launch you out into the Louisiana wilds. We suggest getting rugged with a boat tour of the Honey Island Swamp. Run your hand over the scales of a baby alligator, see elegant birds take flight and glide over the still water, and then refuel with the deliciously caloric shrimp po' boy. If you would rather catch what you eat, a fishing charter lets you feel the tug of a flounder on the line before you reel it in with a splash. When you’ve had your fill of boats and want wheels, take full advantage of the deals on hotels in New Orleans by booking a car rental in Slidell, LA to get to the Big Easy. The brash notes of world-class jazz music and tasty fried seafood awaits. What do you seek, traveler? 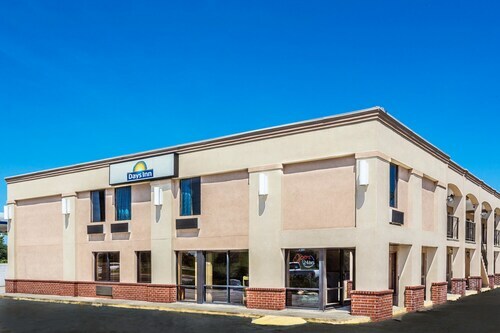 Whether it’s luxury hotel suites or affordable motels in Slidell LA, we've got you covered. 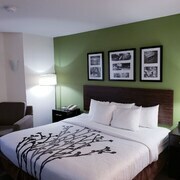 You can save even more by booking flights and hotels together with Travelocity. Every penny saved on travel costs is an extra penny you can spend on your exploration of the bayous and brass bands of Louisiana. Had a good stay and was affordable. I'd definitely stay again. Everything was fine except the matress..spring city! Such a delight. Plenty of places to eat and shop and not really that far from New Orleans. The front desk keepers, Mary and Dennis, were great on giving us info on what to see and places to eat. Very friendly! Would stay there again,. Very clean. Comfortable. Spacious. Lots of room for two teenage girls. Staff was wonderful the carpets in the hall had big bleach stains that made the hotel look kinda run down.